The barren crust of Mercury lay covered by a network of wire designed to harness the dazzling blaze of the sun and send it sizzling through hyperspace. But someone, or something, on tha airless world was sabotaging the top secret mission. Where no life was said to exist, impossible “ghosts” had been seen, and murderous snakes of alien rock had condemned the innocent to death. It is to this troubled planet that Lucky Starr is sent by the powerful Council of Science. Who or where the enemy is…no one knows. And in order to find out, Starr must face the most deadly—and insane—opponent of his young career! Yet another Lucky Starr book. There is, in point of fact, relatively little to say here—it’s about like the other Lucky Starr books. If you like them as a whole, you’ll like this one. If not, you won’t. This one is, however, of more interest historically. 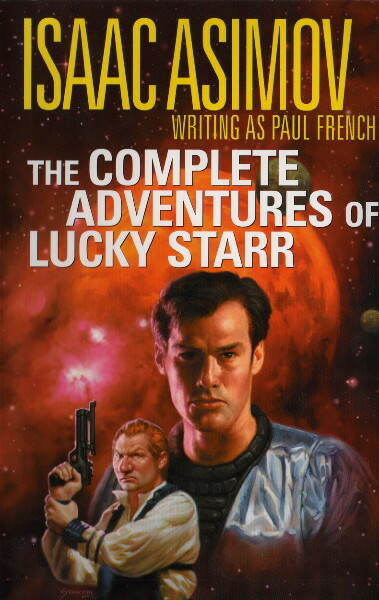 Asimov originally wrote the Lucky Starr books under the pseudonym of Paul French because he was afraid that his name would become associated with some sort of mind-numbing Hollywood sludge (like, for example, the movie “Nightfall”). 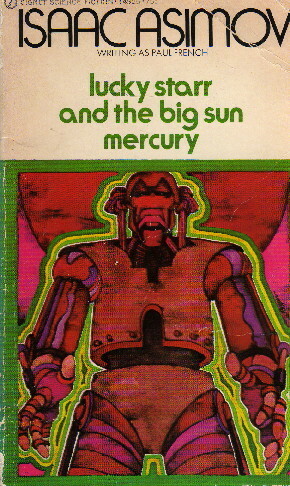 By the time he wrote Big Sun of Mercury, however, it was clear that Hollywood had no interest in turning Lucky Starr into a TV hero, and so the need for the pseudonym vanished. Although the final three Lucky Starr books were originally published under the pseudonym, as the first three had been, Asimov no longer bothered to hide the fact that he was the actual author. In particular, this book includes a robot with a positronic brain and the Three Laws built in (and a plot that echoes “Runaround” in spots), which would have been a dead giveaway.